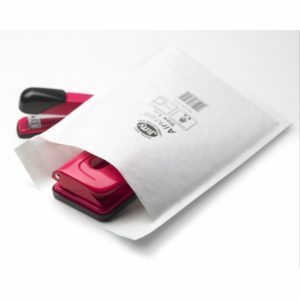 Our padded envelopes are ‘Jiffy Airkraft’ branded protective postal bags, lined with bubble wrap material providing high performance cushioning. The envelopes are easy to write on, and label adhesion is excellent. The attractive white Kraft Paper presents a high quality image of your company.